Hey, Why Did You Floor It? Tracking Junior Behind The Wheel : All Tech Considered New technologies give parents ways to keep tabs on their kids' driving habits. One such device can alert parents when their children are speeding, when they slam on their brakes, and shows their location. But some experts say parents shouldn't rely too much on technology to keep their teens safe. Alyson Illich used technologies that tracked her son Colter's location while he was driving. "I think it made him more thoughtful," she said. Nowhere is the temptation to use technology to monitor a child greater than when that child is learning to drive. Auto accidents are still the leading cause of death among teens in the U.S. And while fatalities are dropping, giving a teen the keys to a car is still one of the most terrifying things most parents ever do. Parents today are raising digital natives. Many toddlers are as likely to amuse themselves with a touch screen as a set of blocks. Texts, mobile phones, video games and gadgets have surrounded teens their entire lives. Today's parents may not have grown up in a tech-saturated world, but almost every day new technologies come to market that give them more options when it comes to keeping tabs on their kids. Giancarlo Daniele is a 22-year-old Stanford grad and the founder of Drive Pulse. He makes a little black dongle, not much bigger than a flash drive, that can plug into a car. Daniele realized that every modern car has something called an onboard diagnostic port. "It turns out that that port is incredibly powerful; [it] connects to your car's brain ...," he said. Parents have been using technology to track teenage drivers for years, but Daniele believes that by tapping into a car's onboard computers the amount of detailed information they can track about their teens could explode. Daniele's gadget also has GPS to track location and it connects to the Internet. Then it feeds all this information to an app parents can use to keep tabs on their teens. A few weeks ago, he snapped one of the dongles into my car and we set it up to send alerts to my mobile phone when certain things happened in the car. 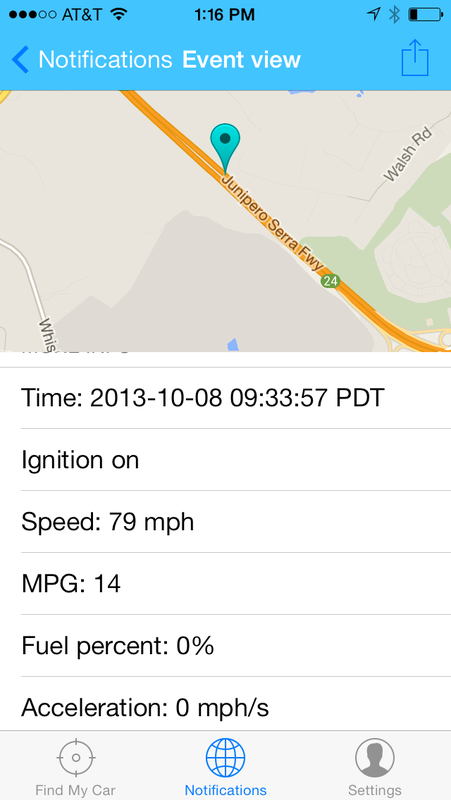 The Drive Pulse app shows details of driving data for NPR's Steve Henn. All of a sudden I was getting notifications if I slammed on the brakes or floored the accelerator. Drive Pulse caught me going almost 80 miles an hour on my way into San Francisco. I would get texts when the car was turned on or off, complete with maps showing my location. You could even set the app to send a notification if the car was idling. "Polluting the atmosphere," Daniele said. "Basically, idling is a bad thing." And if you live in a cold climate and your kid is making out in the car somewhere you will know. You'll even get a text letting you know where to find your child. "Another feature that's very possible and we are so close to implementing is geo-fencing," Daniele said. That would allow a parent to be notified when their child enters a designated geographic area — for example, a boyfriend's house or a bad neighborhood, Daniele said. So if my daughter were dating someone I really don't like, I could geo-fence this person's house and get a text if she was parked out front. Not surprisingly, lots of kids think that's creepy. Daniele said his company has struggled with the creep factor. "We are young, too. We are trying to figure out what the right balance is," he said. When Daniele and his team were developing Drive Pulse they weren't sure if they should include location, but the parents they spoke to demanded it. "That's what they were willing to pay for," he said. Kate Reardon is a 20-year-old junior at Kenyon College. Over the summer her mother, Amy, brought home one of the Drive Pulse dongles to test. 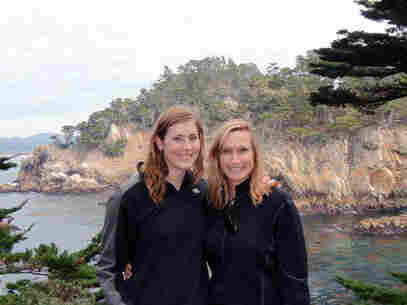 Kate has two younger brothers, one in college and another who is 16 and just started driving. "I actually thought that that was a really weird thing to want to put in a car," Kate said. "I think it just makes this antagonistic relationship between your parents and you. And it's really not probably super-healthy for anyone. It reduces communication to someone stalking the other and I don't think anybody really likes that." 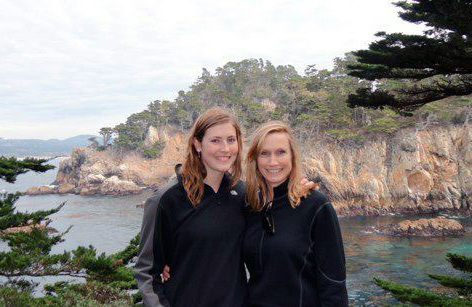 Kate Reardon's mother, Amy, tested a device that tracked her children's driving. Kate, a college junior, says she found it to be "a really weird thing to want to put in a car." Amy Reardon says she was just interested in helping Kate's brother Jack — who just got a license --practice and get better at driving. Amy Reardon wanted the data Drive Pulse could offer. After a fairly charged conversation with her kids, Amy Reardon gave the device back. But thousands of parents are embracing these kinds of technologies. Alyson Illich used technologies that tracked the location of her car and her kids for years. "We told them that these are our cars, they are our assets and we want to know where they are," she said. At the time, the Illich family was living in Houston and there was a municipal curfew. 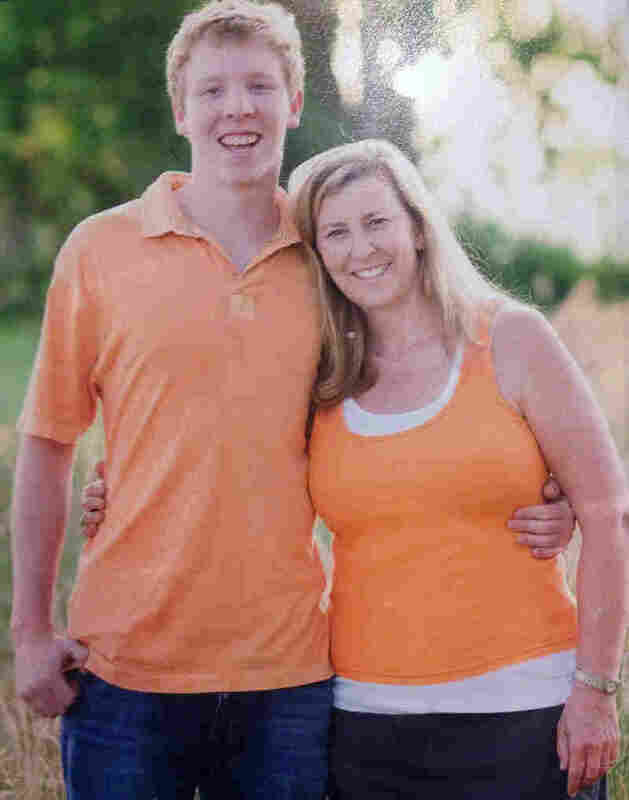 "A couple times when my son Colter was running late he would call me and tell me he was on the way," Alyson Illich said. "He knew if he didn't I would be woken up by a text that told me he was still out. So I think it made him more thoughtful." Today Colter is a sophomore at Stanford and while he says he understood why his parents used technology to keep tabs on him, he now admits he had his own ways of slipping the electronic leash. "If we wanted to go out later, I'd tell my friends and we'd just drop off my car at my house," he said. Dr. Flaura Winston studies injury prevention and teen driving at the Children's Hospital of Philadelphia. She says often parents use technology that monitors kids' driving to keep tabs on other issues. And that is not always helpful. "I absolutely do think that monitoring technology can be helpful if it's used in the right way," Winston said. "I just don't want parents to think that they have to go out and buy these devices when in fact there's a lot they can do even without them." Winston says being directly involved in teaching a kid to drive while nurturing a good relationship might be the best thing a parent can do to keep a new driver safe. "Teens who say their parents not only set rules and monitor their driving but are also very supportive are half as likely to be in a crash," she said. "[They are] 71 percent less likely to drive intoxicated than teens with uninvolved parents. They're also 30 percent less likely to use cellphones [while driving]." Winston says technology that monitors a young driver can play a positive role in helping a teen safely progress toward independence on the road. But if as a parent you are tempted to use technology to try to keep tabs on a wild child, be careful — you could just end up starting more fights and creating more problems than you solve.